Filling station forecourts are potentially hazardous environments. There, operators must use devices complying with specific safety standards, such as the European Union ATEX directives, recognized far beyond the old continent boundaries, notably in Africa and Asia. Handling a nozzle is not a necessary evil everywhere. In some countries, forecourts are manned and tenants will refuel customers’ cars, as a complimentary or premium service, for which they need car-side payment solutions. However, in an industry where customer interaction and loyalty schemes represent the main differentiators, POS terminals must combine business services and payment. In their specially purposed holster, the Ingenico Move portable POS fulfil the ATEX requirements. They are PCI-PTS V5-certified, leverage Ingenico’s large portfolio of payment applications and feature a broad connectivity to accept all payment methods everywhere. As all latest generation Telium TETRA terminal, the multipurpose Move/5000 creates new customer experiences with business apps enabling loyalty schemes and other value-added services. 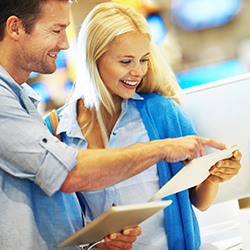 Ingenico strives to support its clients in creating unparalleled customer experience. With the ATEX certification of its Move series, Ingenico brings the power of the Telium Tetra platform to the forecourts. Drivers will have access to loyalty schemes and premium services from the comfort of their car. Current pilot deployments of the Move series in petrol stations demonstrate yet again the versatility of our portable terminal range meeting needs across verticals and continents.’ said Mirko Spagnolatti, Head of Petrol, Enterprise Retail at Ingenico Group.